How To Change The Address On A Map? I am trying to create an online registration for our event in central PA. I cant figure out how to change the default location on the map to the actual address of the event. I did some checks on your form and it appears that you have embedded a Google Maps iFrame window within the form with the exact location of the event - which some what resolved your issue. Our widget, Show Map Location, will allow you to enter the exact location of your event and have it displayed on your form just the same. 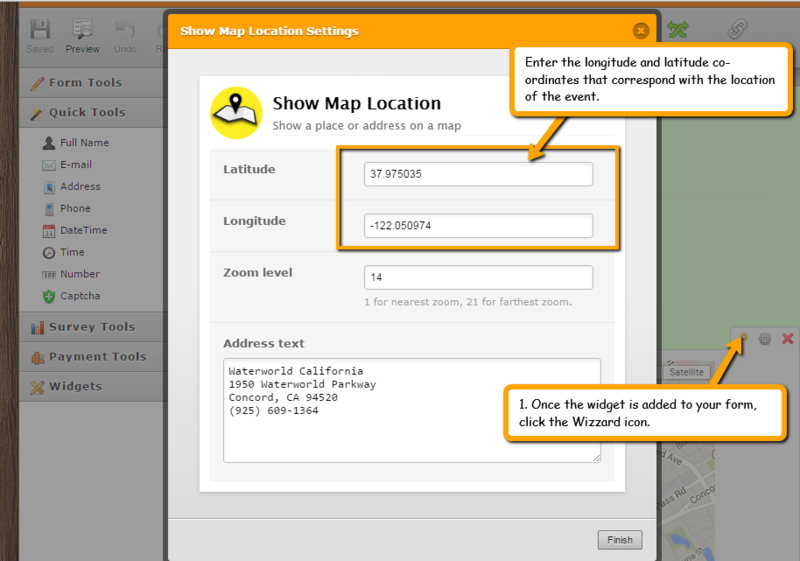 This widget allows you to enter both the longitude and latitude of your event to pin point the exact location on the map.